Routine HVAC repair and maintenance services are essential to the life of your system. You count upon your heating and air conditioning systems to keep you cool in the summer, warm in the winter, and to preserve your health and home. They are so much more than just luxury and comfort; they’re a vital part of keeping you safe. When it comes time for repairing your system, you want a Monroe, OH, HVAC repair company that you can trust to tackle the job with confidence, efficiency, and concern for your needs. That’s why people in our community turn to the professionals at Watkins Heating & Cooling when looking for the best HVAC services around. Watkins Heating & Cooling is a family-owned and operated business, providing HVAC contractors in Monroe, OH for several generations back. We live and work throughout the community, and we care about the people with whom we work. That means we’re absolutely dedicated to providing a hassle-free, low-stress experience with only the highest quality results. Whether you just need a basic cleaning and tune-up of you heating, ventilation and central air conditioning systems, or there’s something wrong with the inner workings that requires major repair work, we’ll take care of your needs. We’ll determine exactly what the problem is and get it fixed right the first time, guaranteed. HVAC systems can be incredibly complex, with many precise parts and settings with which to deal. In fact, every year these systems get even more complicated, requiring services that are always current and updated. At Watkins Heating & Cooling, we ensure that our technicians receive constant training and education on best practices, tools and equipment on all HVAC models. No matter what brand or model of unit you have, from central air to furnaces to heat pumps and more, our contractors are well-trained and perfectly equipped to help with maintenance. When you work with Watkins Heating & Cooling, the one thing you will always get is peace of mind. We’ll do the job right the first time around, and get you up and running just like brand new. Of course, your heating system is every bit as important—if not more so—than your cooling system. Watkins Heating & Cooling is here to provide local Monroe, OH, HVAC services for repair and replacement of home heating systems as well. A damaged furnace can open the door to illness and even damage to your house in the form of disasters, like frozen and burst pipes. Keeping your furnace running requires expert heating technicians who are trained to handle any kind of furnace breakdown, as well as providing regular cleanings and checkups. At Watkins Heating & Cooling, we specialize in keeping home heating systems running well. If you need a new HVAC system in your house, we can also guide you through the process of choosing just the right one for your home before taking care of the installation. 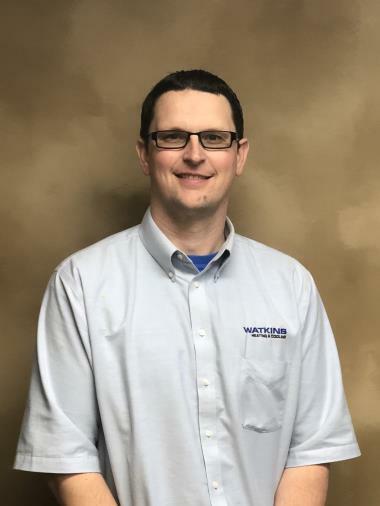 Why choose Watkins Heating & Cooling for your Monroe, OH, central A/C and home heating services? First of all, we don’t outsource our services to subcontractors. With us, you’ll always have the quality control that comes from working with direct employees who are rewarded for doing things right, not doing things fast. You’ll also never have to worry about hidden costs; your entire price will be quoted right up front. If you’re looking for the best local Monroe, OH, HVAC repair company, Watkins Heating & Cooling should be your only choice. Don’t wait, and don’t spend hours or days searching for the right company in your area. Give us a call today for more information or to schedule your next maintenance, repair or replacement appointment! Chris has helped us a few times and is the best to work with!! Your technician knew what he was doing. He went straight to the problem and had it fixed within an hour. Service was very good and price was good also. Chris was very prompt, professional, thorough, efficient, and personable. I was very pleased with the service call. We purchased our Trane 6 years ago and have been very happy w/ service from Watkins. Scott filled in for Chris when our AC went out over the weekend and arrived about noon on Monday and had the problem remedied in a couple of hours. After several visits from Chris over the last couple of years we are very satisfied with his maintenance work as well as his pleasing personality.